Within a rambling old house in Webster Groves, Missouri, thrives a bright spirit in a body/mind scrambled by Cerebral Palsy. 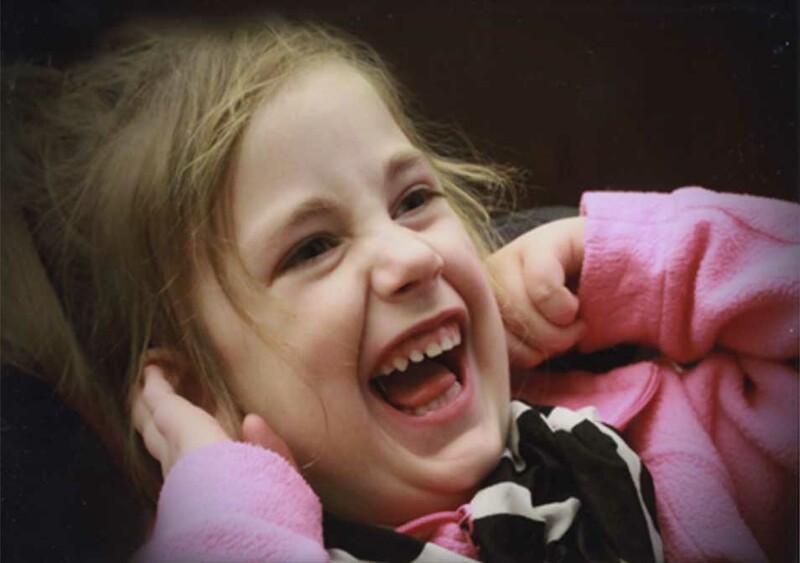 The fourth of five siblings, Finley’s early years were filled with hospitalizations for tests and surgery, with office visits to specialists and therapists who taught her parents how to support her growth. When older she began Special School where more helpers intervened in her nurturing. Years passed. Finley continued growing into her Irish name–courage, fair-haired heroine. Carrying her lanky frame downstairs to join the family has burdened her parents. Efforts to fund a chairlift from the state failed as well as relocation to a smaller house to accommodate Finley’s needs. Stunned by these setbacks, her parents waited and prayed. In no time, their plight caught fire among friends and neighbors. A volunteer fundraiser stepped forward to raise the needed costs for the purchase and installation of the chairlift. She and countless others wanted this family to remain in their community. The appeal is underway. Should you wish to learn more, please check the Finley’s Friends website — https://www.facebook.com/FriendsofFinely. Finley has found a place in my heart. Perhaps she’ll find one in yours.